Provide comfort for the family of Robert Roccia with a meaningful gesture of sympathy. 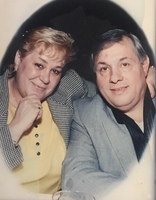 ROBERT "BOB" ROCCIA, age 83, of Feasterville, passed away peacefully on February 21, 2019. Loving husband of the late Joan Roccia. Beloved and close friend of Romane Desir and his wife Magela and Elizabeth, Sasha, Najmane, Jonathan and Olina. Relatives and friends are invited to his viewing Wednesday, February 27, 9:30am until 10:30am at Assumption BVM Church, 1900 Meadowbrook Road, Feasterville, PA 19053, followed by his funeral mass at 10:30am at the church. Interment Our Lady of Grace Cemetery, 1215 Super Highway Route 1, Langhorne, Pennsylvania. 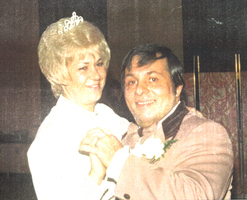 Provide comfort for the family of Robert "Bob" Roccia by sending flowers. Rest in peace Bobby. I will miss my buddy but I'm happy you are where you have wanted to be. May you rest in peace Uncle Bob. Your not alone anymore your home!